I would like to replace the stock triple dash gauge pod in the center for some other pod that can take 52mm or 60mm. I found this on ebay but the guys in NASIOC.com said that's not bolt on. what about this one? they also have it from carbon but it's *****in expensive. do you guys know any other cheap options? 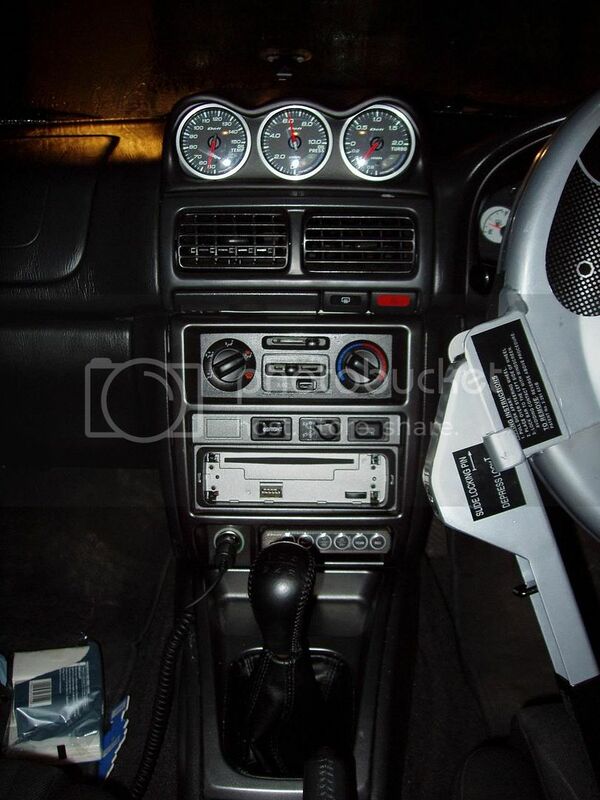 I was looking at the plastic one on ebay too, Ive got a 95 Impreza. If it's not bolt on how did they say it fits to the dash ? So it's a load of crap then, one to avoid. Thanks for sharing that, I was going to order that ! What do you guys think about the STRI DSD-CS Gauges? They are pretty cheap and include peak and warning features. Greddy also makes 60mm gauges that do that, but the price difference is about $150. Same as this, no mate? BTW, What do you guys think of STRI and Greddy gauges? Bit late, but i had the Greddy gauges in my old WRX and really liked them. They were green on white and the price was very good. Very clear and easy to read day and night.